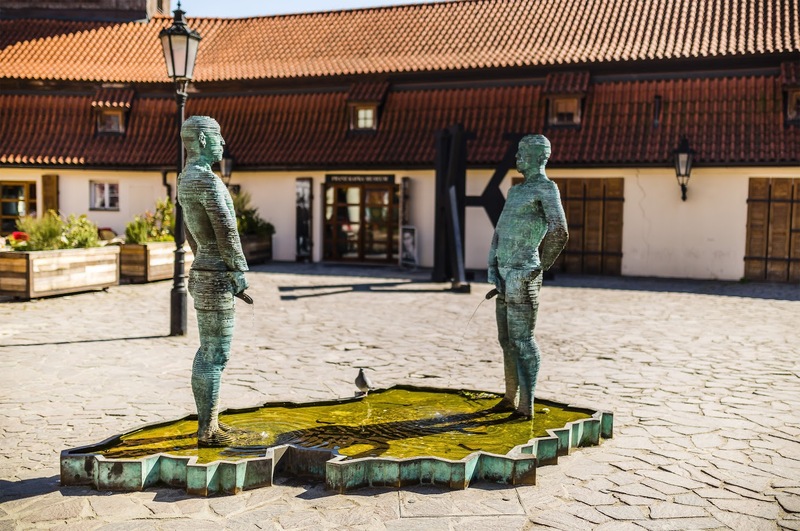 Two masculine figures of bronze peeing into the pond in the shape of the Czech Republic were created by famous and often provocative artist David Černý. Malá Strana, Cihelná Street, in the yard of the Herget brickyard; two masculine figures, 210 cm high, of bronze were created by David Černý. They contain an electronic device enabling them to turn their hips and lift their penises in such a way that the stream of water writes letters on the surface. The gsm unit inside receives sms messages, sent to the number written nearby.